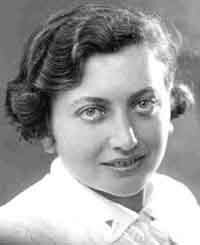 Rivka Rogovin Bekman (1912-1981) was born and raised in Vishnive and lived there until 1935 when she made "Aliyah" to Eretz Israel. 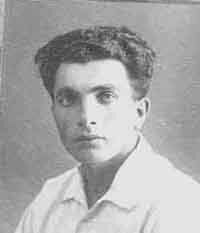 Two of her brothers, Gershon Rogovin (1906-1992) and Mordechai Rogovin (1910-1982) had immigrated earlier. 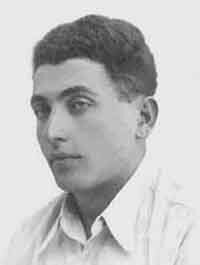 Gershon came first in 1926, followed by Mordechai in 1932. 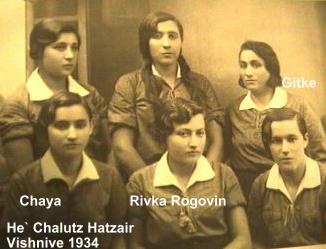 The following are selected parts of Rivka's memories dated January 10th, 1934. She described what happened to the Rogovin family during the period when they returned to Vishnive in 1917 (having fled the War) only to find that the war was still going on between the Russians and the Poles. ....A memorable event that I must write about happened as follows: Russian soldiers were eating inside our house. Suddenly my brother Shlomo came in through the back door with a Polish Jewish soldier from Sokolke. This soldier was escaping from a Russian POW camp. The soldier begged to change his clothing so he could continue escaping. When Mother saw him and heard his Polish accent she was very scared. The Russians were only several steps away eating in the other room. If they found him hiding at our home all of us would be killed. But if she gave him away, he would not survive. Her pity was stronger than her fear. She gave him some old clothing and sent him to hide in the cattle pasture during the daytime. She also gave him some food so he would not starve. At night he slept in our house. Every night we were very scared until the Russians left the area several weeks later. When Polish soldiers finally entered our area he joined them and left us.